At least two civilians are killed by missiles, shells or bullets fired by the US military each day. This is the number given in the Pentagon’s report on civilian casualties in the US counter-terrorism operations around the world. During 2017 year alone, 499 non-combatants perished in the US strikes in Iraq, Syria, Afghanistan and Yemen. Another 450 cases of suspected civilian casualties are currently being verified, meaning that the toll could double. The report was requested by the US Congress amid growing distrust towards the Defense Department among the legislators and expert community. Human rights defenders claim that the Pentagon grossly underestimates the scale of death among civilians in the countries targeted by the US counter-terrorism operations. The official data puts the number of civilian casualties during the Inherent Resolve operation in Syria and Iraq at 842 people. In turn, an international non-profit monitoring group Airwars estimates the death toll to exceed 6500 people. In addition to collecting open source intelligence and reports by local media, the group’s experts contact eyewitnesses and families of the victims and conduct field investigations. 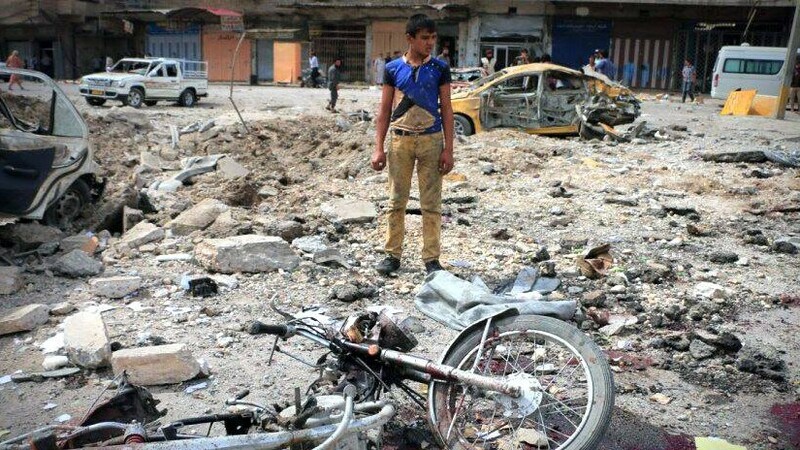 The Airwars report published in late 2017 by the New York Times Magazine said that the number of Iraqi civilians killed by the US and their allies was more than 30 times higher than the figures provided by the Pentagon. The US top brass attempts to conceal the scale of American military involvement in Africa proves to be another reason for concern. Libya and Somalia are excluded from the official data despite numerous reports on the civilian deaths due to the American air strikes published by multiple monitors and human rights groups. The situation is further exacerbated because the US actions result not only in civilian casualties, but also in death of the members of local armed forces, including those allied to Washington. Such “mistaken” strikes are bound to provoke an international armed conflict which could not be solved by silencing the media, meddling with numbers or watering down official reports with euphemistic language. This is exactly what happened a few months ago in the Syrian city of Abu Kemal, where an air strike killed dozens of fighters of Iraqi militias. Spokesmen of the militias and the Syrian army unequivocally declared that the attack was carried out by US jets and resulted in death of 22 fighters. The official spokesperson of the US Central Command limited his response to a categorical rejection of the accusation. However, in an interview to the CNN an anonymous American official later claimed that the strike was conducted by Israeli Air Force, shifting responsibility for the incident onto one of the US key allies in the Middle East. “NGO reports of strikes attributed to the US military, particularly their identification of civilian deaths, may be further complicated by the deliberate spread of misinformation by some actors, including terrorist organizations, a Pentagon spokeswoman Major Audricia Harris told the New York Times this June. She is right on at least one account: some actors do spread disinformation about the US strikes, but it appears that terror groups are not the ones we should look at.